For my birthday, I asked my parents and nephew if they wanted to go with me to check out Bushkill Falls which is considered the Niagara of Pennsylvania. This was a bit of a drive so I knew it would be a long day, but it was worth it! I can not say enough great things about this campground and State Park – I love it here. This trip was not the first and certainly won’t be the last time I will visit. The campsites are large with a picnic table, fire ring and room to park your car. There are flush toilets, warm showers and electric in the bath house. I brought my friend Cathy with – this was her first camping trip and she LOVED it. We were driving up right after work so I called and told them we would most likely get there late. They told us that wouldn’t be a problem, just to set up when we got there and check in in the morning. We ended up arriving at 9:30 which meant unfortunately it was dark. Setting up the condo (as my tent is lovingly nicknamed) in the dark is a pain – actually setting up the condo in the day time is sort of a pain because it’s so huge and old. 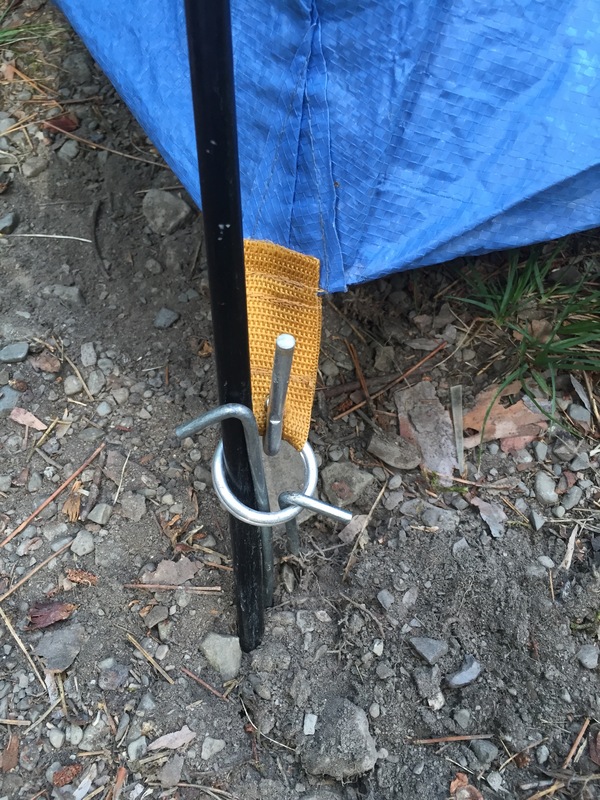 As we were putting it together we noticed one of the tent poles was missing the hollow metal end that fits into the peg attached to the tent – bummer! We couldn’t find it anywhere so we ended up rigging that side of the tent up with extra stakes and the ring attached to the tent that the stakes go through and trying to jam the pole in the hard ground – hey it worked – even if it was a bit lop sided!